We are one of the renowned event photography service provider. 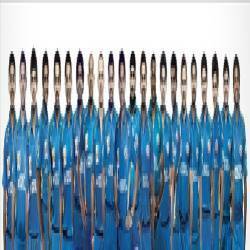 Our exclusive service range includes Mumbai Indians photography services. We have built a modern infrastructure that is equipped with latest lighting instruments, image scanners and other tools to provide cost efficient photography services. These photography services are applauded by the customers owing to the properties like competitive prices, superior print quality, quality compliance and time adherence. Our team members are fully conversant with the latest methodologies and practices of the photography industry. Established in 1995, we are known as a trusted name for Photography at various events. The services we render includes Advertising Photography, Food Photography, Product Photography and Digital Photography. All the services are offered with the support of experts in photography and Film industry. The professionals are known for their image & scene selection and projection abilities. These experts use high resolution photography instruments to assure the pictures look alive when developed with fine-grade chemicals. We have developed a world class facility at our base to provide single roof accommodation for the entire range of services offered. A designed studio, shooting range area with absolute picturization of real natural and artificial places has been developed to offer hassle free shooting options to the clients. Besides, a comprehensive negative development unit is put on place to get the pictures without any fault and defect.